Uber Accident in San Jose? It Was Probably Caused by Distracted Driving. >> Uber Accident in San Jose? It Was Probably Caused by Distracted Driving. Uber Accident in San Jose? Chances Are it Was Caused by Distracted Driving. There’s no doubt that Uber’s car service is extremely popular. Ridesharing in general has simply exploded since its inception in 2013. Now hundreds of thousands of rides are given every day in cities across the country and around the world. The typical Uber accident in San Jose is the result of the drivers being distracted. Usually, they are distracted by the various “tools” given to them by Uber. Advocates for Uber and its competitors say ridesharing is a wonderful (and cost-effective) alternative to traditional taxi cabs. But, as a personal injury attorney in San Jose, I find the very model on which Uber is built to be disturbing on multiple levels. The first and second points are self-evident. Uber drivers are just average citizens—like you and me—but they have decided to use their personal cars or SUV’s as an income stream by shuttling passengers to and from various locations around San Jose. One might say that self-starting business model is an extension of the American dream, an embodiment of America’s entrepreneurial spirit. But there’s a problem with that model when innocent victims are injured in an Uber accident in San Jose because drivers are not professionals. They don’t have the skills, the training, or the licensing requirements of a professional livery cab driver nor are they held responsible in the same way after a crash. Secondly, Uber treats these average drivers as a commodity, not employees. Their entire business model revolves around the concept that company drivers are not officially employed by Uber. They promote this fact in a patriotic way making it seem as if Uber allows go-getters to make money in their free time without becoming a wage slave to a corporate entity. The reality is that Uber created this corporate structure to limit its own expenses—expenses which include financial liability in the event that one of their drivers causes an accident. 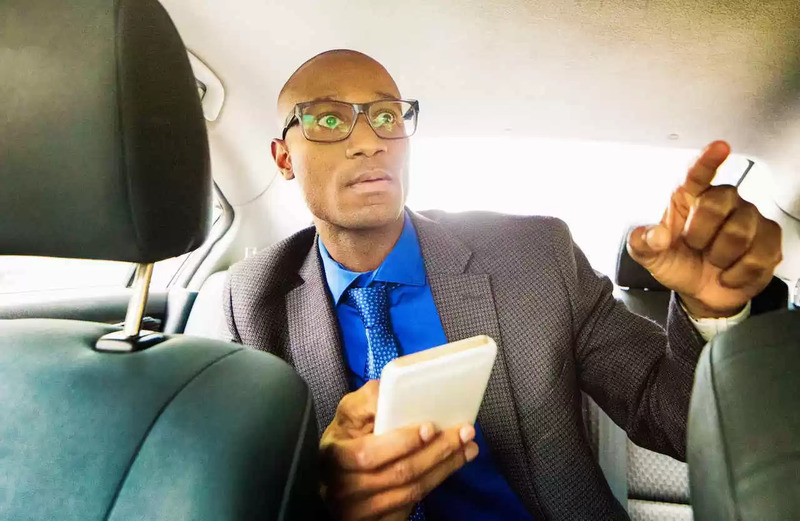 But perhaps the most troubling notion is that Uber’s way of doing business may encourage distracted driving—one of the leading causes of traffic accidents and injuries in The United States and certainly a common cause for almost every Uber accident in San Jose. Does Distracted Driving Increase the Chance of an Uber Accident in San Jose? Distracted driving is one of the leading causes of car crashes nationwide. In 2015 distracted driving contributed to the deaths of 3,477 people (according to stats collected by the NHTSA). That doesn’t include all of the non-fatal accidents caused by people eating, carrying on conversations, fiddling with their electronic devices, or even reading the newspaper. And what did the NHTSA find tempts drivers more than almost anything else? Cellphones. Cellphones are often a primary cause of fatal distraction on roadways in California. The NHTSA estimates that over 660,000 drivers on American roadways use their cellphones in some capacity while behind the wheel. Is that distraction really contributing to crashes? While there are few statistics related to cellphone use and Uber drivers, phones in the hands of everyday drivers is a hot button issue. Multiple studies have found that simply reading a text notification (not even responding) takes the driver’s eyes off the road for 4 to 5 seconds. Travelling at 55 miles per hour a car flies nearly the length of a football field in that time—plenty of time for a pedestrian to step into a crosswalk, a child to stumble into the roadway, or the car in front to put on its brakes. Oddly enough Uber mandates that drivers use their phones. The official line is that the company doesn’t condone cellphone use while the driver is actually on the road. But that line, which sounds good the general public, is it complete conflict with how Uber driver’s are supposed to use the Uber platform and App. It’s not hard to see how many of these individuals are tempted – and even required to - check their phones often even when their full attention should be on the road ahead of them. Many victims claim have discovered that Uber drivers don’t always have you’re safety in mind. Uber recently banned one of its drivers in San Jose after an anonymous tipster sent the company a recording of an inappropriate conversation with the driver. As bad as an Uber accident in San Jose can be for passengers in cars, it can be even worse for people on foot. The increase in Uber drivers can be directly correlated to the increase in pedestrian accidents in San Jose. Despite all of the money San Jose is dumping into pedestrian safety, and Uber accident in San Jose is still something to be very aware of while crossing the street. For example, in January of 2017 an Uber driver rushing on his way to pick up a fair struck an elderly man crossing the Tully Road near the intersection of Senter Road in San Jose. The victim was rushed to a nearby hospital with injuries that were described as “life-threatening.” He later died. The driver stayed on the scene of this terrible Uber accident and cooperated with the investigation but repeatedly told police that the victim simply walked in front of the car and he (the driver) didn’t have time to react. Was the Uber driver speeding? Was he driving distracted? Was he taking every necessary precaution? It’s likely that some of those questions will never be answered. As a San Jose personal injury attorney I see more and more of these types of collisions every day. Ridesharing drivers making multiple trips across the city during the course of one day unknowingly “stack the deck” in favor of an increased chance of an Uber accident in San Jose. Sadly, it often comes down to numbers: more drivers on the road equate to more crashes. What can you do if you’ve been hurt by a distracted driver in an Uber accident in San Jose? Getting the compensation you deserve after a serious Uber accident in San Jose – whether you are a passenger, motorcyclist, pedestrian, cyclist or motorist - can be difficult without an experienced legal team to fight for you. Call Sally Morin Personal Injury Lawyers at (408) 878-3070 today or get a FREE online case evaluation now to see if we can help.